Michal Sedlacek (1963) studied architecture at the Faculty of Architecture at the Brno University of Technology and at the Academy of Fine Arts in Prague. In 1990 he moved to New York. In 1994 he relocated to Moscow. After three years in Moscow he returned to the United States and started to work in the office of Frank Gehry in Los Angeles. At Gehry he worked on several major projects, including the Walt Disney Concert Hall and REDCAT Theater in Los Angeles, Arena Prague in Holešovice, Museum of Tolerance in Jerusalem, and Lou Ruvo Center for Brain Health in Las Vegas. In 2006 he established his own architectural office BlueBox Studio. After two years he founded a new company that later became part of Aedas, one of the largest architectural firms in the world. As a managing partner of AedasLA he led projects in the US, the Middle East and Asia. Projects included the Los Angeles NFL stadium for 75,000 spectators, @bahrain City development in Sakhir in Bahrain, and Doha Sports City multi-use FIFA 2022 World Cup stadium in Qatar. 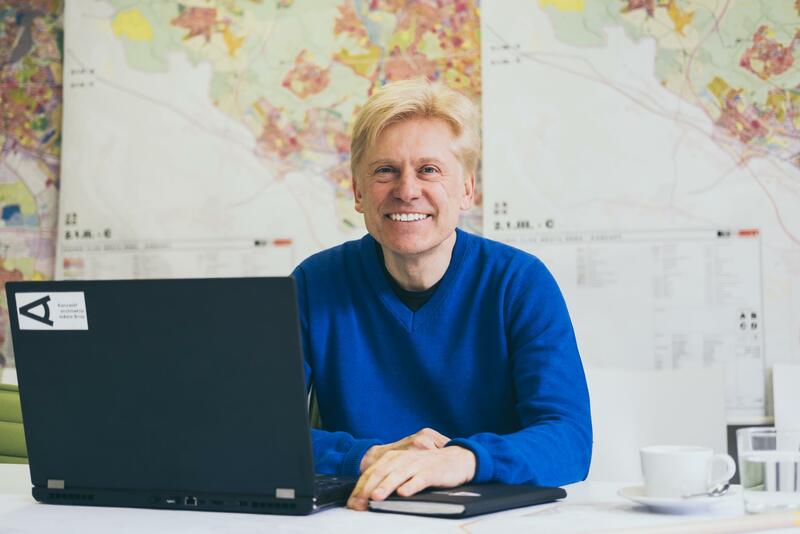 In 2016 Michal Sedlacek was named the director of the Brno City Architect Office (KAM).